What a lovely start to 2019! Even with the rain, the temperatures have been ideal for winter gardening. Cleaning up the landscape is a good winter chore, with raking and mulching flower and ornamental beds. Another chore more easily undertake is getting rid of those pesky cool-season weeds that seem to flourish this time of year. plants, especially those that have dropped their leaves. The bare branches make it easier to see where you want to shape the plant. Some plants do well if pruned back in December-January and this article will highlight those plants. 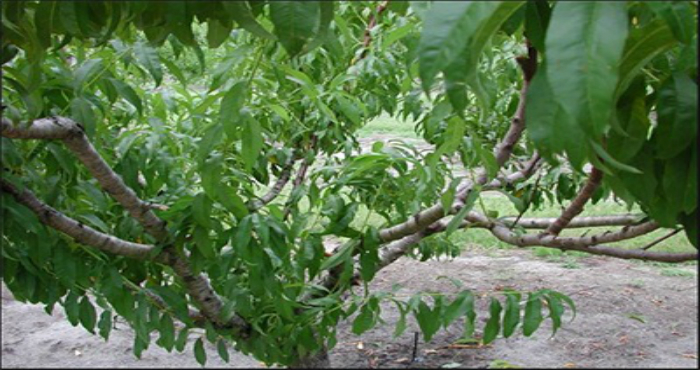 January is a great time to prune fruit trees that have dropped their leaves. In North Florida these are peaches, plums, nectarines, apples, and pears. The University of Florida has a nice article with pruning tips, http://gardeningsolutions.ifas.ufl.edu/care/pruning/pruning-deciduous-fruit-trees.html For the stone-fruit and apple trees, pruning the tree to a ‘soup bowl’ shape allows for better air circulation, and access to the fruit when you are ready to harvest. Note: mature citrus tress do not require pruning, except to remove serious disease or freeze damage http://gardeningsolutions.ifas.ufl.edu/plants/edibles/fruits/citrus.html If you have young citrus trees, watch for suckers that grow at the base and remove them. Crepe myrtles are lovely trees that flower during our hot summer months. Crepe myrtles are lovely trees that flower during our hot summer months. In the dead of winter, it is their multiple trunks and interesting bark that make a statement in the winter landscape. Many homeowners like to keep the trees at a manageable height where they can enjoy the summer blooms. 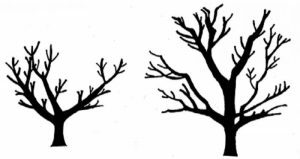 Often this means drastically pruning most, if not all of the branches back to the trunk. Unfortunately this leads to weaker branches that will bend and possibly break when loaded with summer blooms. 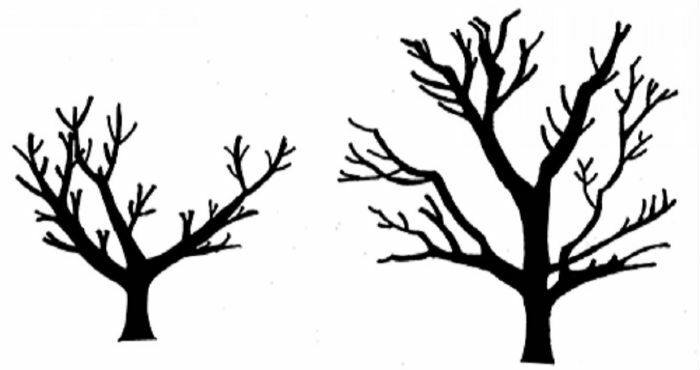 Only prune branches that are damaged, diseased, or crossed over other branches. 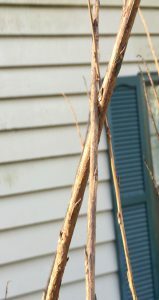 (Picture of crossing branches) Also prune suckers that are developing along the roots or main stems. The article also offers tips on how to rehabilitate a ‘murdered’ crepe myrtle. There are some plants that you want to leave alone until after they fruit or flower in the spring or summer. These include azaleas, blueberries, camellias, and hydrangeas. For now, enjoy these plants as they are in the garden!